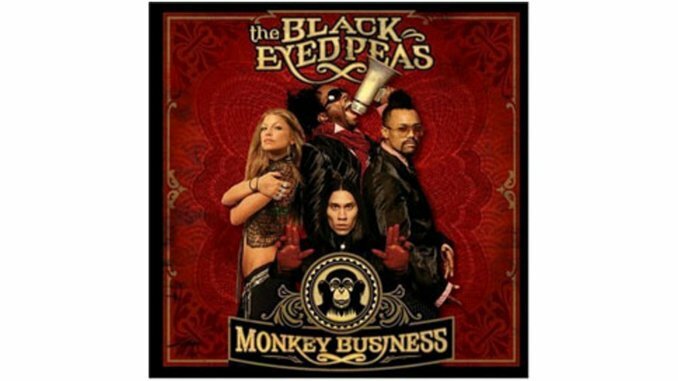 According to The Black Eyed Peas’ fourth album, Monkey Business means a well-rounded woman and a lot of booty shaking. “Whatchya gonna do with all that junk inside that trunk?” frontman, will.i.am, asks on “My Humps.” Fergie, the sultry songstress addition from the last album discusses her “lovely lady lumps” with an alliterative style you can’t help but dig. And then it’s to the dance floor for some boy-vs.-girl back-and-forth as the 14 tracks progress. Monkey Business was made to live in clubs that throb. The constant tête à tête is undeniably and increasingly danceable, even for diehard hip-hop purists who resent the over-hooked and poppified form of universally successful 2003 crossover album, Elephunk. Keeping it jumpin’ with a first single called “Don’t Phunk With My Heart” and a guest appearance by funkmaster James Brown, the Peas are still unclassifiable with even more well-arranged, multi-genre infusion. Catchy is good.